Ivette is using Smore newsletters to spread the word online. 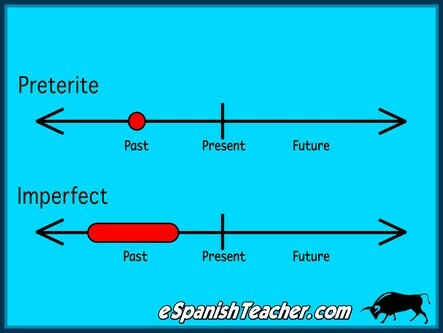 The preterite is known in Spanish as the Pretérito indefinido and the imperfect is known as the Pretérito imperfecto. Both tenses are conjugations in the Indicative Mood (Modo Indicativo) and are used to narrate in the past. The preterite is used to talk about completed events, with known beginning or end, or specific number of instances. That means actions or states that are described as specific points in time in the past. The imperfect is used to describe states and habitual or ongoing activities in the past. Este smore tiene videos para repasar el Pretérito indefinido.